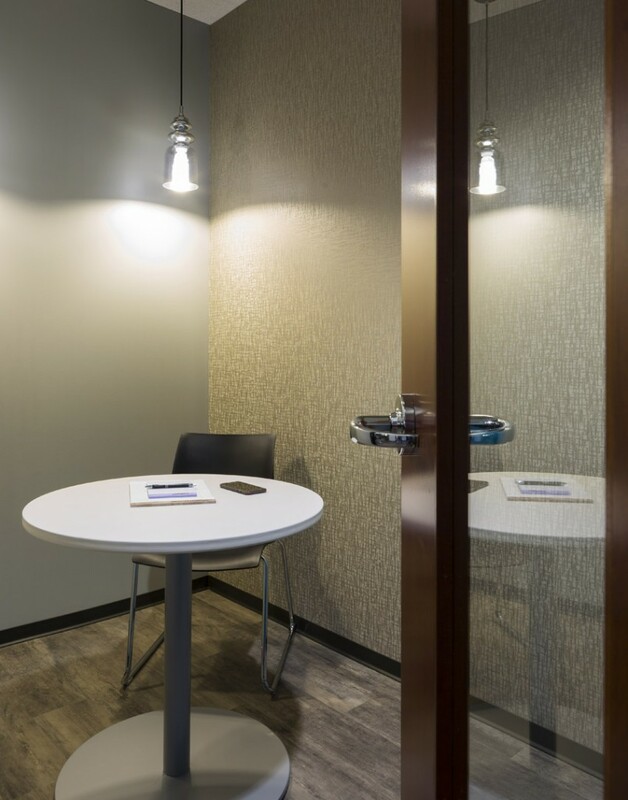 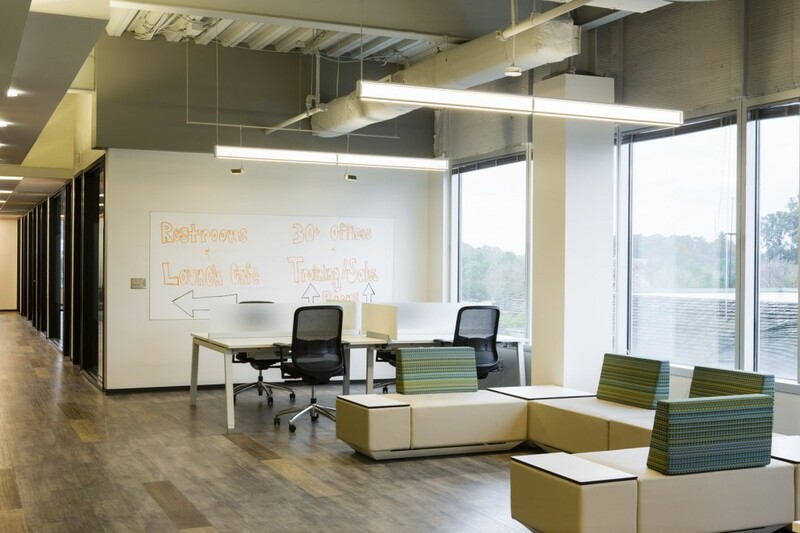 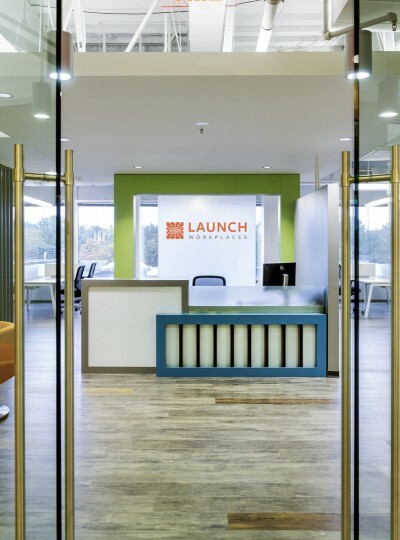 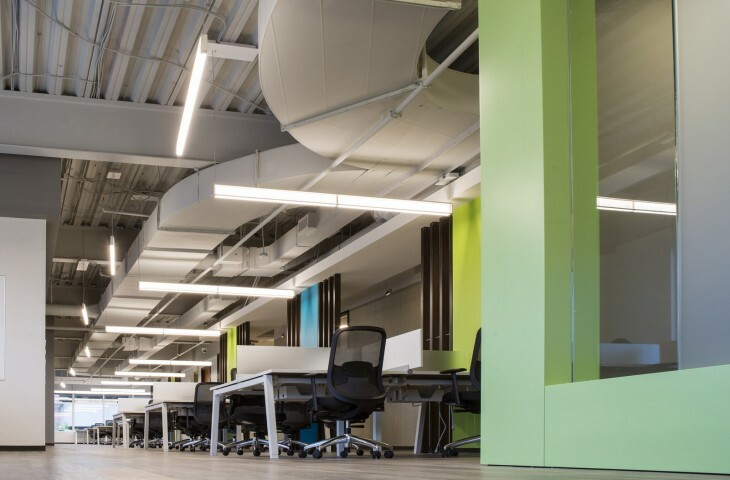 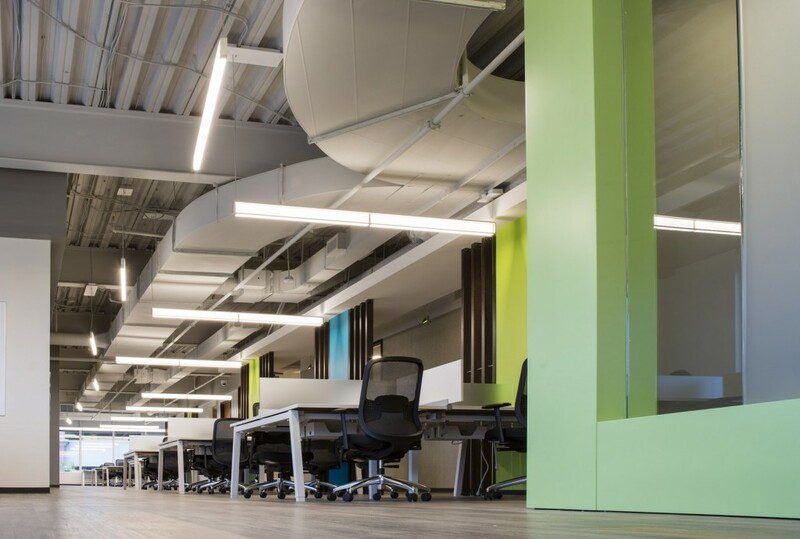 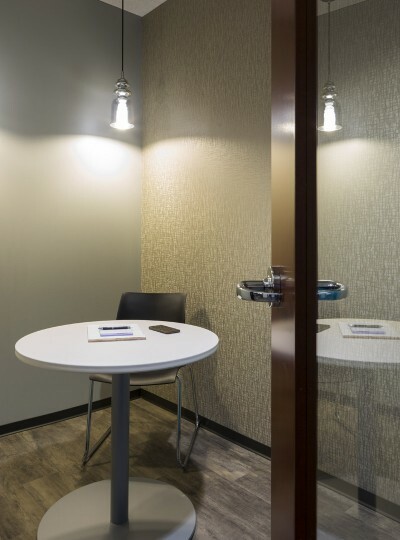 Launch Workplaces is a new concept in hybrid workspace centers for individuals, startups and small companies within a Class A building at 9841 Washingtonian Boulevard in the RIO Washingtonian Center in Gaithersburg, Maryland. 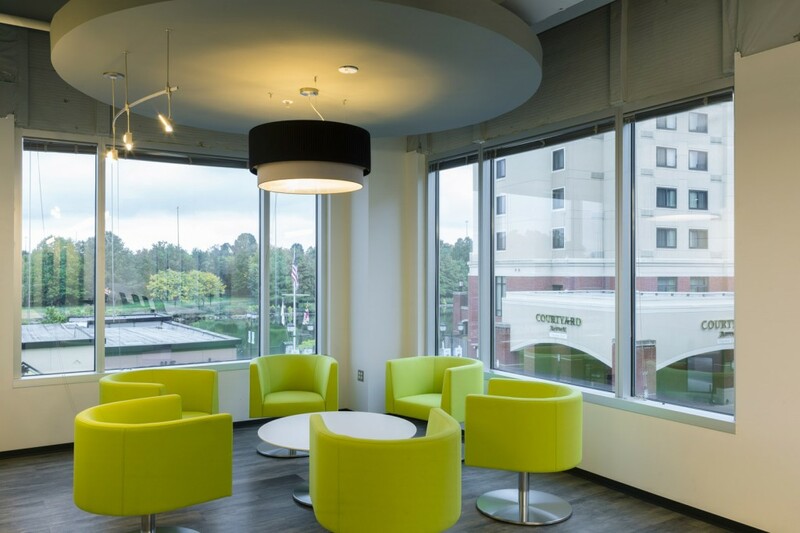 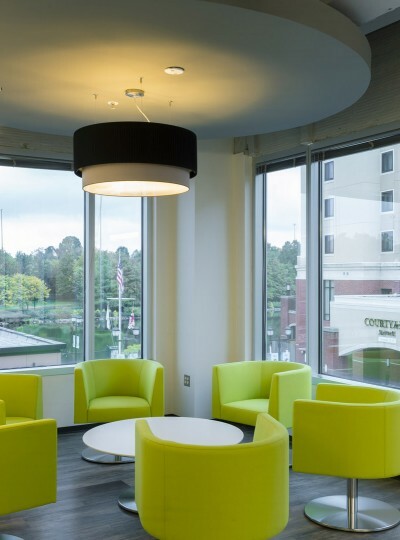 Located on the second floor overlooking Lake Washingtonian, the more than 16,000-square-foot space, offers a mix of collaborative desks, conference/meeting rooms, and individual and group offices. 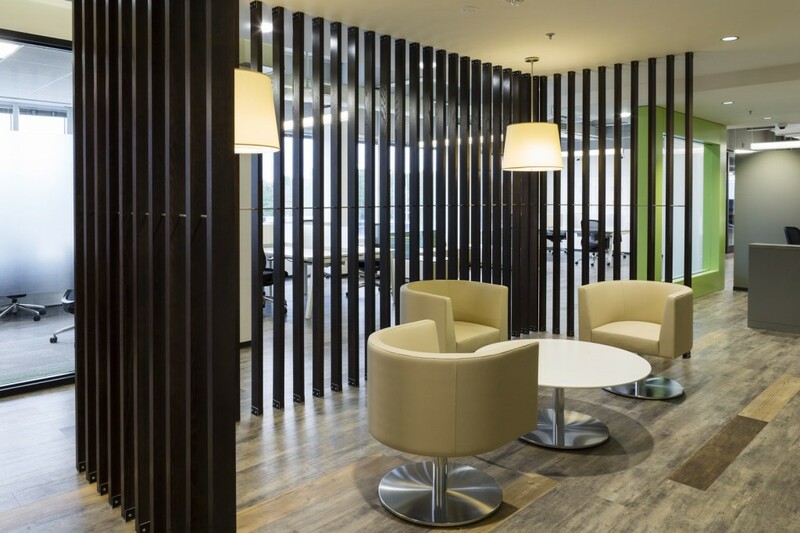 There are also café/break areas and lounges within the formal and informal spaces. The design highlights include an all-glass entry to create a sense of openness and bring in natural light, sliding glass conference room doors, reclaimed barnwood along the wall and ceiling in the café, and new, innovative lighting systems. 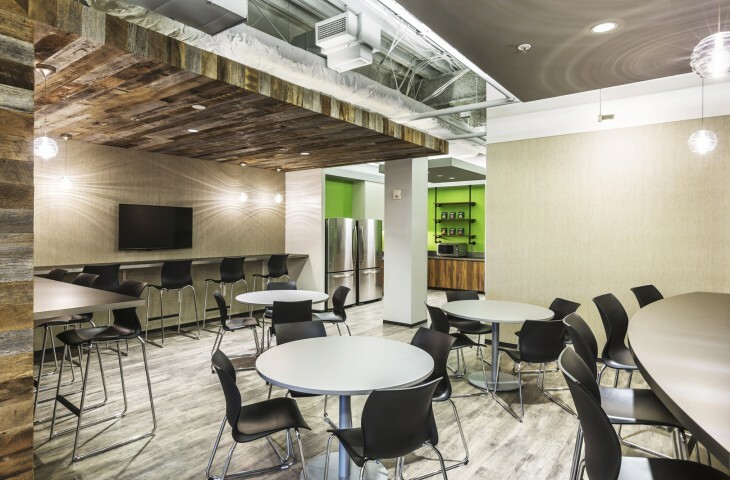 Modern space dividers accentuate the work and lounge areas, while comfortable swivel chairs surround group gathering tables. 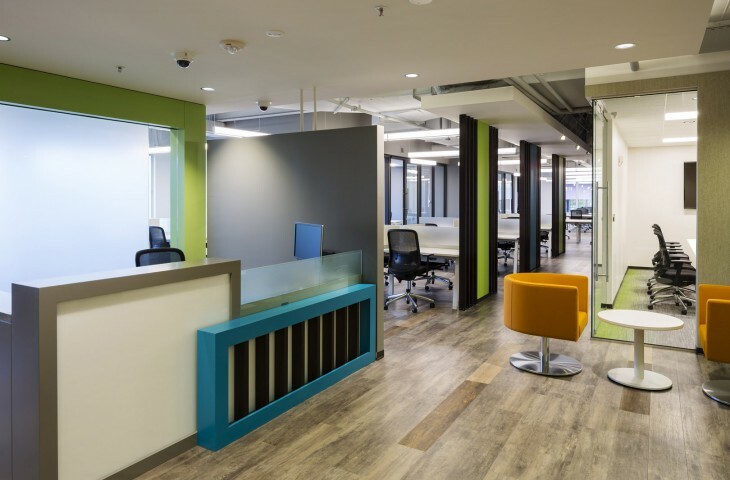 Launch Workplaces motivation for designing the hybrid space was to provide start-up companies and small businesses flexible and affordable professional office space and benefits. Their aim was to create private offices and open co-working areas as an inspiration to their clients. 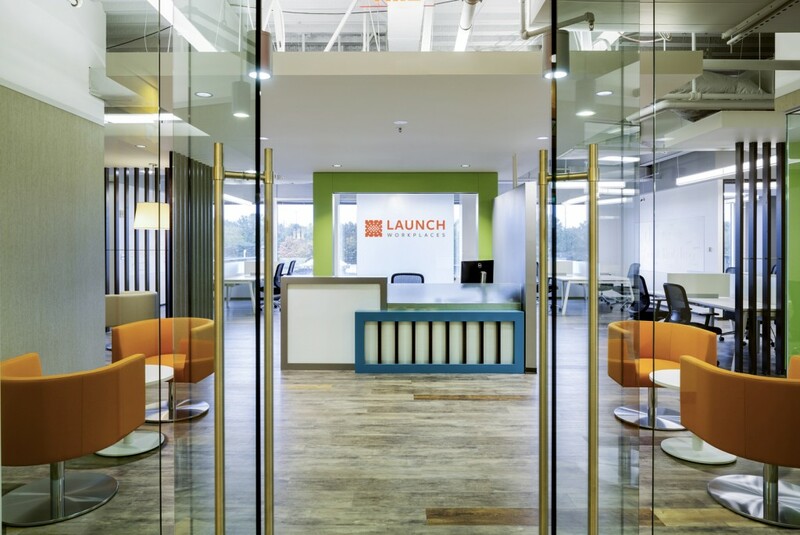 In order to accomplish their goal, Launch Workspaces and the designer decided to go with a modern design.